NEW YORK -- U2 has postponed its Saturday night concert in Paris in the light of the deadly attacks across the city Friday night. Instead, the band says in a statement that it is resolved to go ahead with the concert "at an appropriate time." 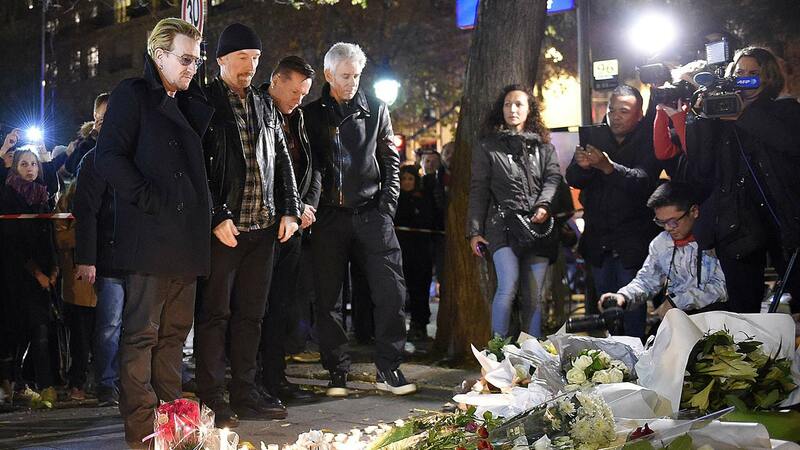 U2 members say: "We hope and pray that all of our fans in Paris are safe." HBO had planned to televise the band's performance. It says it will replace the planned show with the film "Jersey Boys."